Car technology is advancing and at a quick pace. Car's are smarter, more efficient and safer to drive than at anytime in the past. But as car's get smarter, car prices go up. And higher car prices usually mean higher car insurance rates. That trend may not always continue though. There are a lot of factors that determine how much insurance premium you'll pay. Those details are beyond the scope of this post. Technology focused on ensuring the safety of passengers and those around you can help reduce insurance costs. Technology can also help protect your car and the tech inside it against theft. Here are a few ways technology may help lower your bills. 1. 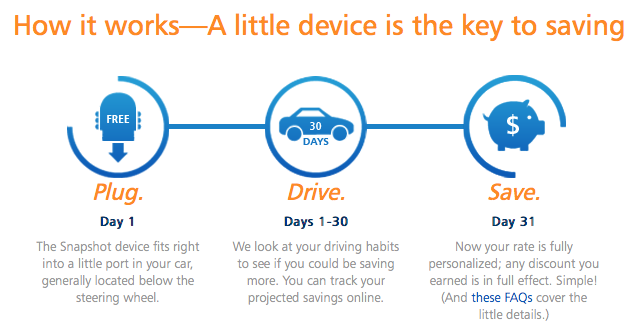 Data Tracking: Everyone drives differently. Should that mean insurance rates should be different based on your driving habits? Seems like a good argument. There is a way of doing that according to Progressive's new Snapshot program. Snapshot is basically a program designed to learn your driving habits like how fast you accelerate or slow down, your speed, the times of the day you use your vehicle and mileage among other things. 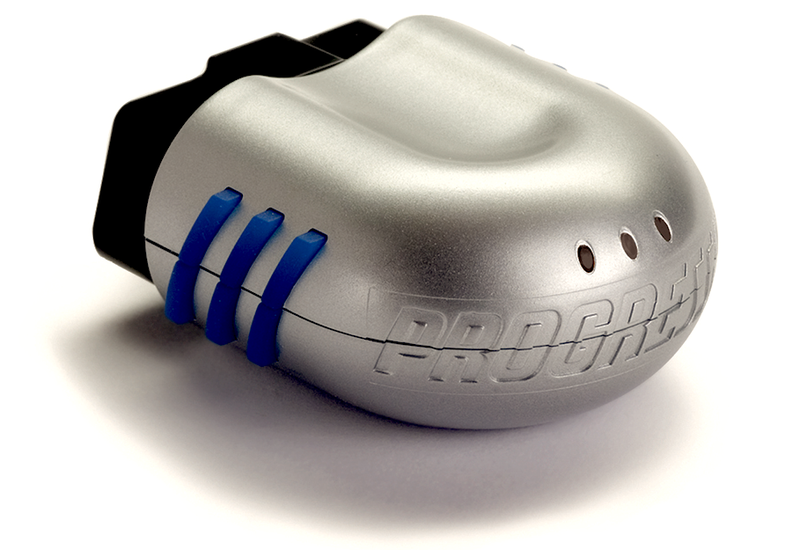 Progressive gives drivers an OBD-II device that plugs into your car. After that you go about doing your normal routine for 30 days. The information obtained from the OBD-II device is then used by the insurance company to learn your driving habits and help you save money based on all those factors. 2. Dash Cams: There's nothing like having dashboard camera footage when dealing with insurance companies. A simple low resolution video that could help you prove your innocence might save you from increased insurance premiums following an accident. There are a wide range of dashboard cameras cropping up all over these days. Even GPS-maker Garmin, has one out. The Garmin Dash Cam 20 is a useful device. It mounts on your dashboard and has a useful safety feature: The 2.3-inch LCD screen shuts off once the vehicle is in motion. This ensures the driver isn't distracted by the display. 3. Anti-Theft Devices: Many insurance companies offer discounts depending on whether your car is equipped with an anti-theft device. These include sound and light alarms, and car immobilizers. Anything that would deter thieves to break in. 4. Electronic Stability Control (ESC): This is a technology that helps improve stability of a vehicle when loss of steering control occurs (example: skidding). ESC systems are built in today's vehicles on top of the Anti-Lock Brake Systems (ABS). Recent studies have show ESC systems to be highly cost-effective. Most systems tend to pay for itself through reduced insurance premiums. The technology is also known to be the most effective for the prevention of fatal crashes, especially rollovers. ESC is required to be in every passenger vehicle from 2012 onwards according to the Insurance Institute of Highway Safety (IIHS). To find out if the car you own is equipped with ESC, visit the IIHS website. 5. Stolen Car Recovery Devices: The most common car recovery system is LoJack, which puts a small radio-frequency device in your car. The device can be used to locate your vehicle if it is stolen. Once a car gets stolen and is reported to the police, law enforcement can use the signal emitted by the device to track the vehicle. Reportedly, almost 90 percent of LoJack-equipped cars are recovered if stolen. A combination of an anti-theft device and a LoJack-like recovery device can reduce insurance costs. IIHS has a website which has the latest news about car safety and tools you can use when shopping for a new vehicle. Their newsletter, Status Report, publishes good articles about road and highway safety. It is especially a good place to start if you have a young driver in the family that may need some guidance about safety. Note: All auto insurance providers may not offer all discounts. Discounts also vary based on coverage and location.